Global trade today is making the world a smaller place and enabling more markets and regions to link together with less cost and risk. It’s also driving technology development by creating standards and removing economic barriers that inhibit the movement of goods, information, and people. 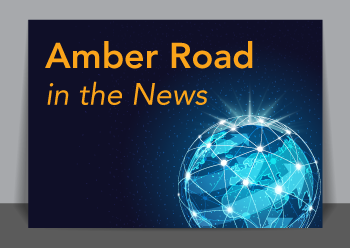 Amber Road’s subject-matter experts provide some thought-provoking insights in a range of industry publications to help companies continue to streamline their global supply chains. Autumn is here, which means the holiday shopping season is just around the corner. The store shelves are already stocked with some Christmas holiday goods, which signals that the products are already sitting in the local DCs and stores. Companies aren’t wasting time to get the holiday shopping season underway, and better inventory management will give them some extra advantages this season. It’s also important to understand why product testing matters in today’s complex safety and compliance world, and how to keep from being blindsided by custom laws and regulations. Amber Road’s subject matter experts provide best practices across the supply chain in a range of published articles from industry publications. The search for supply chain excellence is on in August. From keeping an eye on activities inside China’s borders to the quest for eternal supply chain knowledge, or how to face the challenges and opportunities of free trade and compliance. Amber Road’s subject matter experts provide solutions across the supply chain in a range of published articles from industry publications. Webinar: Trade Legislation Changes Around the World – Translated! 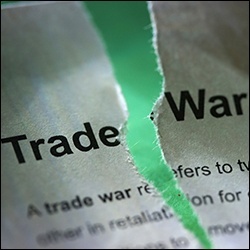 It may seem like you need a translator to understand the scope of rapid policy shifts in international trade, especially as countries like Canada, Brazil, and China respond to increased US tariffs and restrictions. Instead of turning to Google Translate, tune in to our upcoming webinar, where Suzanne Richer, Director of Trade Advisory Practices at Amber Road, will expand on how US trade changes have impacted legislation in other countries. After lying dormant for almost 30 years, U.S. trade policy has been swept up in a whirlwind of change – and, surprise, your trade compliance job may get caught in the storm too! Your imports of a variety of products just became more expensive with the imposition of special tariffs and import restrictions. 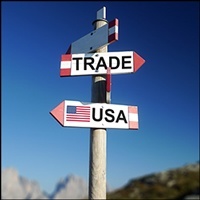 Join Amber Road’s Global Trade Academy’s upcoming webinar, U.S. Trade Policy Is Changing Rapidly - And So May Your Job!, on June 26th at 2:00PM EDT. 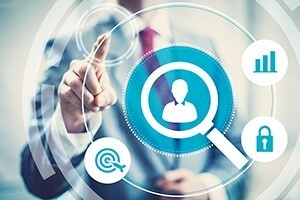 U.S. Customs and Border Protection (CBP) set up Automated Commercial Environment (ACE) with the intent of providing importers a "single window" to submit data to other U.S. agencies. But instead of finding a steady mark to hit, shippers are struggling with the complexities of importing under ACE and the partner government agencies (PGAs). 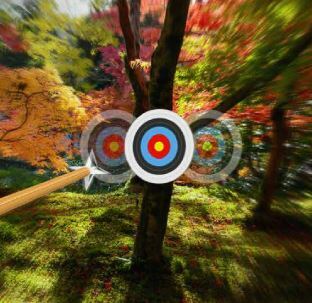 A Moving Target: The Complexities of Importing Under ACE And The PGAs is an American Shipper white paper that exposes the uneven levels of ACE integration from PGAs. As the sponsor of this white paper, Amber Road contributes to the conversation by offering how global trade management automation can help importers navigate among the chaos. Today’s global trade market, subject to volatility and constant changes, presents several challenges to international companies and their supply chains. Risks to supply chains are normally categorized into issues such as production errors, unanticipated weather events, labor disputes, and qualms with supplier reliability. While these are all legitimate fears that any sensible company should monitor, special attention should also be paid to addressing global trade uncertainties—modifications in economic and political trade policies that precede shifts in regulatory compliance standards. Questioning Your Valuation ABC’s? We Have Answers! Last week, Amber Road’s Global Trade Academy hosted the webinar, Valuation ABC’s & Related Party Transfer Pricing Pitfalls, which reviewed the critical components of proper Customs & Border Protection (CBP)’s valuation declarations, appraised value under Transaction Value, and how to prove inter-company transfer pricing between related parties. Marian Ladner, Managing Partner at Ladner & Associates PC, presented on behalf of Global Trade Academy. Marian comes from an extensive background in trade law, providing her with a wealth of knowledge on trade compliance. With only an hour to cover such a complex topic, many of our viewers had additional questions. The U.S. Customs & Border Protection (CBP)'s valuation declarations contain critical components that can end in crisis when left unacknowledged. For seamless trade, global companies must understand the basic components of appraised value under Transaction Value and how to prove inter-company transfer pricing between related parties. What’s an acceptable transaction value between unrelated parties? What’s “acceptable” related party transfer pricing?